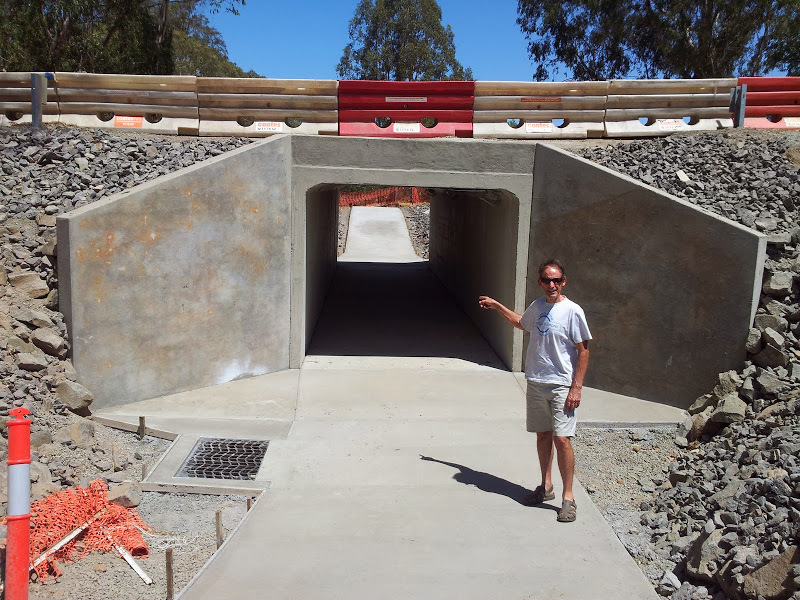 On our way back from the Wallan Market yesterday, we stopped to check progress on the Axedale tunnel. It now features a lovely concrete ramp on both sides. Can’t wait to roll down there on a bike.